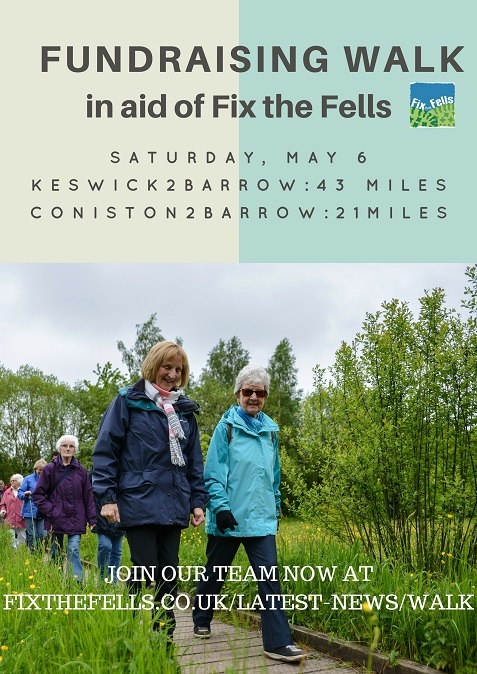 Join our team NOW and help us to protect the spectacular Lakeland fells from erosion. Further details? Minimum sponsorship is £80. Participants are responsible for their own transport arrangements to and from the walk. STEP 2: Email james@nurturelakeland.org with your member ID. STEP 3: James will add you to the Fix the Fells “team” on Feb 6. STEP 4: Pay your £10 entry fee online at keswick2barrow.co.uk via your dashboard. STEP 5: You’re all done! James will email you more details closer to the event.